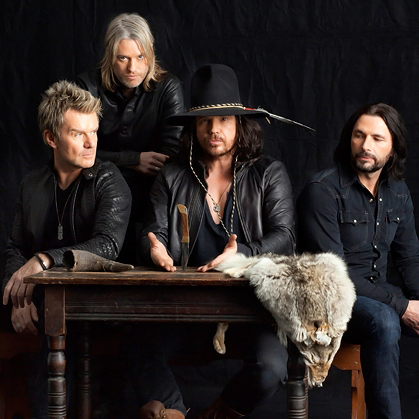 Astbury: The Cult had just signed with Sire Records, and we came to New York to do a photo shoot for Rolling Stone. We’d started recording with [producer] Steve Brown, but as soon as I heard Rick’s work, I was like, “Stop everything – let’s go to New York and find this guy!” Were you still living in a dorm room? Rubin: Yeah, I was still in the NYU dorms! Rubin: [Laughs] I remember that conversation. I loved Ian’s voice, but the music had this meandering, New Wave-y softness. I wanted to feel it more. That was Electric’s goal: to connect with that rock energy. Astbury: We’d already been through the post-punk/postmodern scene since 1981, so it was time to transition. We were going back and discovering all the music we weren’t supposed to be listening to – everything pre-1976, early Led Zeppelin records, the Doors and Blue Cheer. Rubin: Same thing happened to me. So much of punk, hip-hop and the Eighties New York underground dance scene rejected the whole rock-star thing. When we came back around to Led Zeppelin, AC/DC and Black Sabbath, it was a revelation. via Rick Rubin and the Cult’s Ian Astbury Reunite | Music News | Rolling Stone.